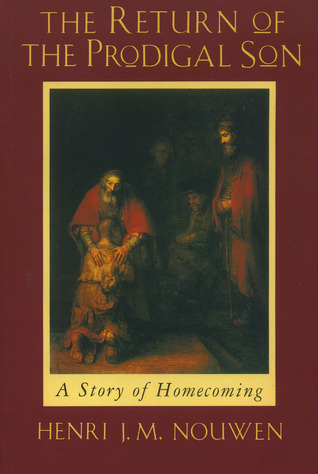 A chance encounter with a reproduction of Rembrandt's painting, The Return of the Prodigal Son, catapulted Henri Nouwen into a long spiritual adventure. In his highly-acclaimed book of the same title, he shares the deeply personal meditation that led him to discover the place within which God has chosen to dwell. This Lent course, which has been adapted from the book, helpA chance encounter with a reproduction of Rembrandt's painting, The Return of the Prodigal Son, catapulted Henri Nouwen into a long spiritual adventure. In his highly-acclaimed book of the same title, he shares the deeply personal meditation that led him to discover the place within which God has chosen to dwell. This Lent course, which has been adapted from the book, helps us to reflect on the meaning of the parable for our own lives. Divided into five sessions, the course moves through the parable exploring our reaction to the story: the younger son's leaving and return, the father's restoration of sonship, the elder son's resentment and the father's compassion. All of us who have experienced loneliness, dejection, jealousy or anger will respond to the persistent themes of homecoming, affirmation and reconciliation.